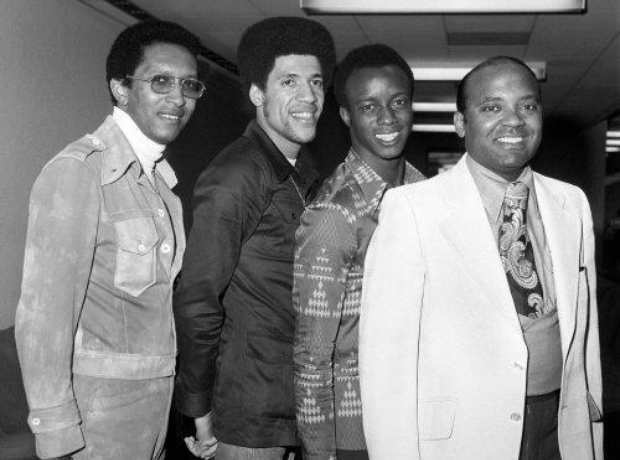 July 1975 - The Drifters on arrival at Heathrow airport for their four week tour. From the left, Grant Kitching, Butch Leak, Clyde Brown and Johnny Moore. Ben E KIng, the American soul singer and former member of The Drifters, is seen performing at the Palladium in London, England, on March 3, 1987.